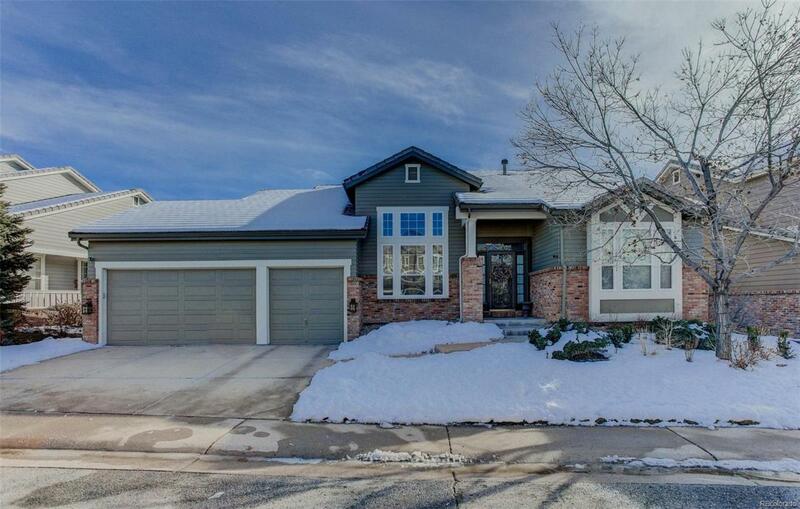 Executive ranch style home offering the finest in elegance and lifestyle. 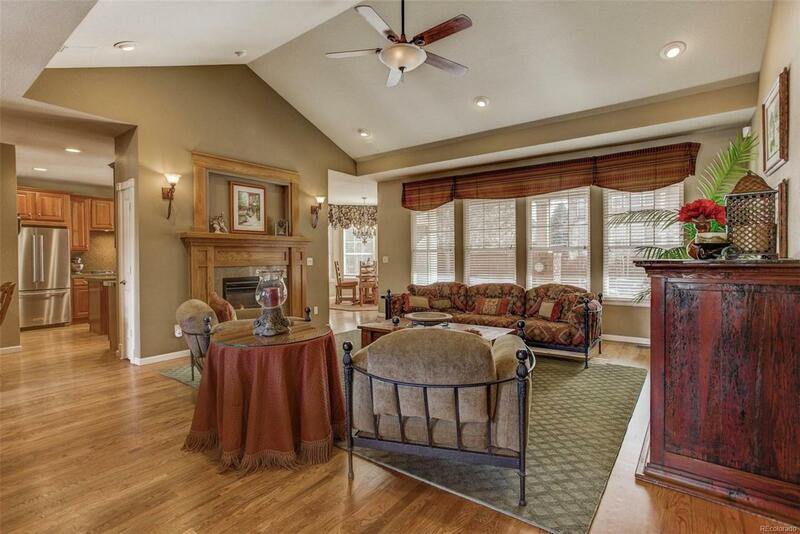 Single level living in one of south metro Denvers premier golf club communities. 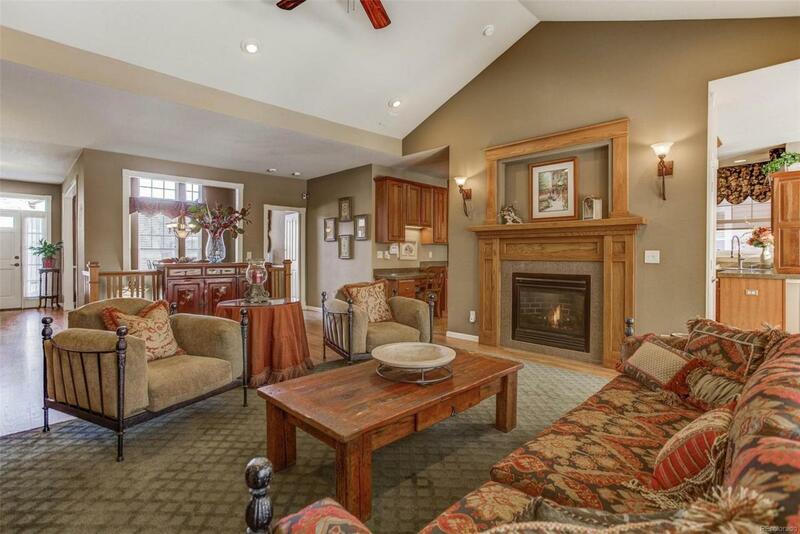 Formal dining and a spacious great room with vaulted ceiling, gas log fireplace, newly refinished hardwood floors and beautiful windows. Gourmet kitchen with custom cherry cabinets, all new stainless steel appliances including gas range. The breakfast nook opens to a covered patio on a nearly .20 acre professionally landscaped lot. Spacious master bedroom retreat with two closets and a gorgeous 5-piece master bathroom w/ heated floor, jetted tub and euro glass shower. A large secondary bedroom, second full bathroom, and a den/office room complete the main floor. Rare three car- garage. Open, unfinished basement with plenty of room for storage. 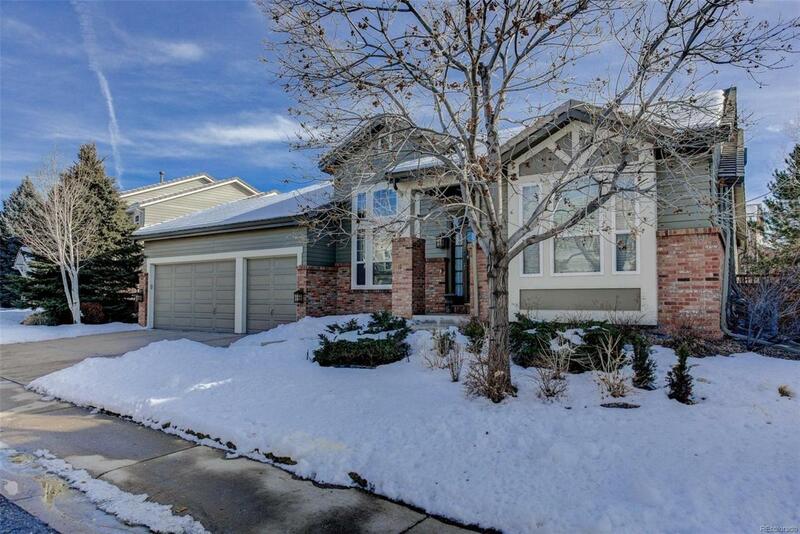 Located just steps from the Highline Canal Trail and within one-mile of Redstone Park, shopping, dining, and two new hospitals, this neighborhood is truly a gem in Highlands Ranch.